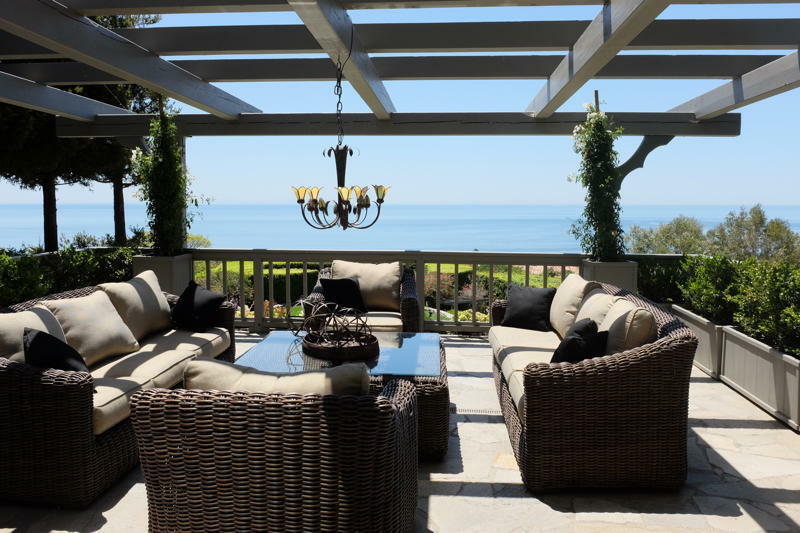 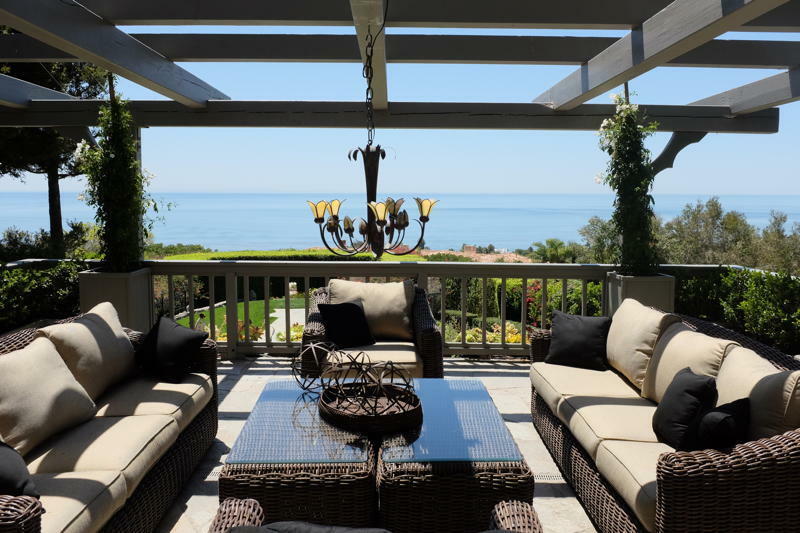 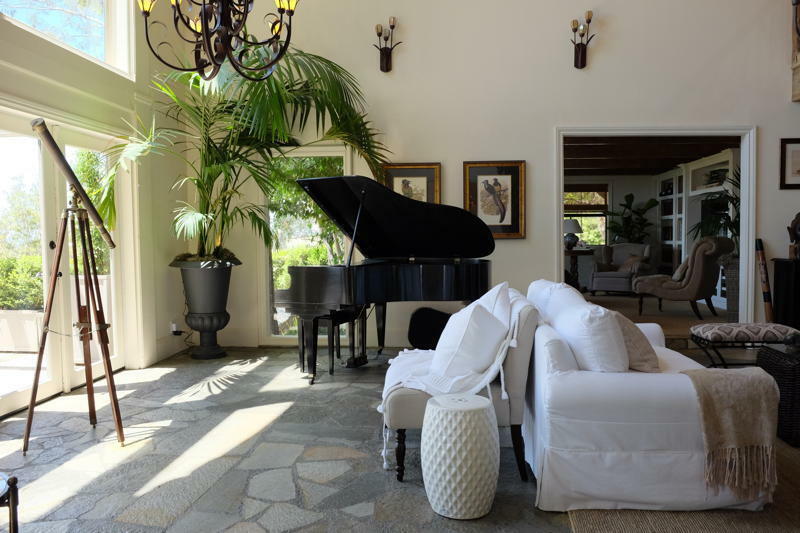 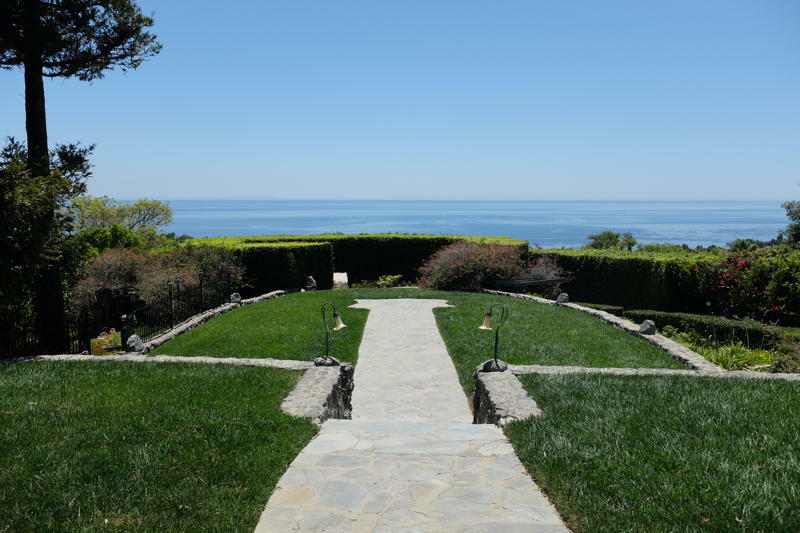 A majestic estate overlooking Paradise Cove in Malibu, Stone Manor offers a wide range of luxury with its ocean views, three acres of gardens, and extravagant interiors. 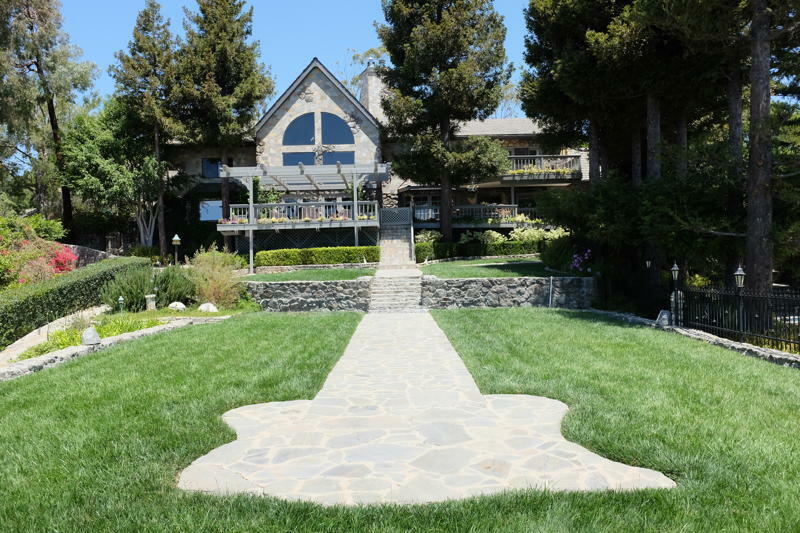 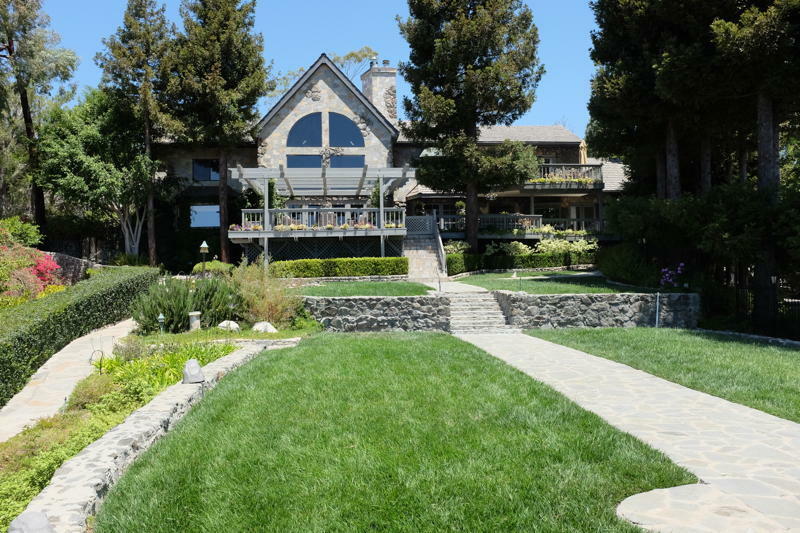 The famed Stone Manor has also been the site of many celebrity weddings, and may be recognized from shows like Curb Your Enthusiasm. 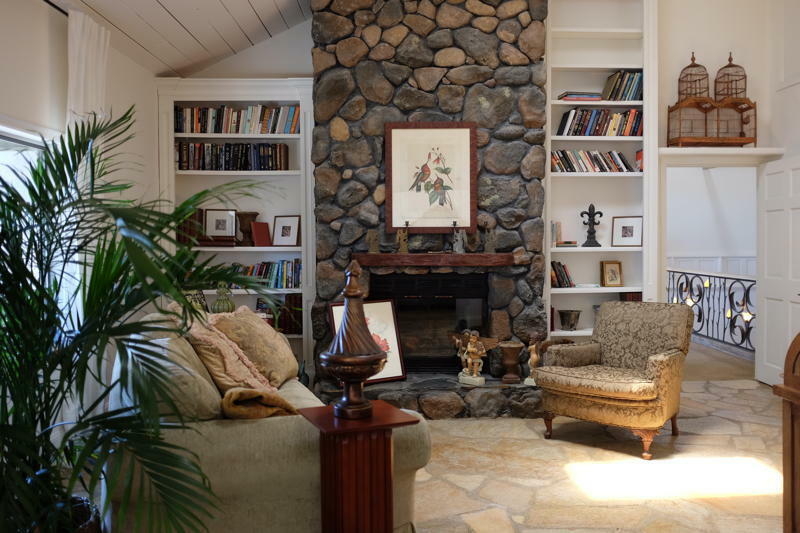 The home itself has thirty two-foot beamed ceilings, quartzite floors, stone fireplaces, and an antique library. 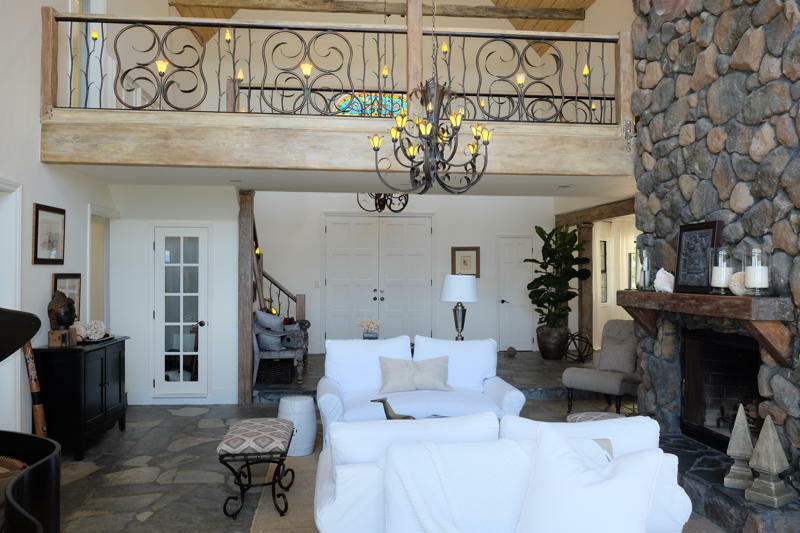 The master bedroom, along with two other bedrooms, are located on the second floor. 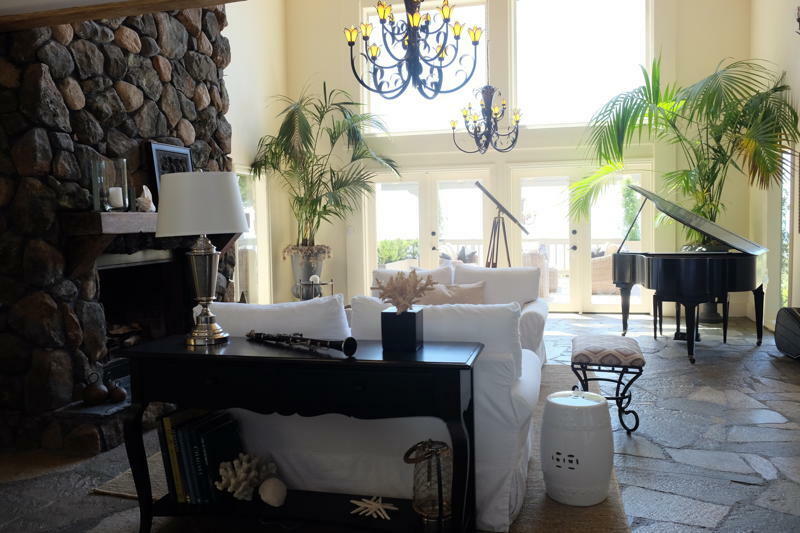 The master bedroom has its own terrace with a gorgeous ocean viewpoint, and a large sitting room with a fireplace. 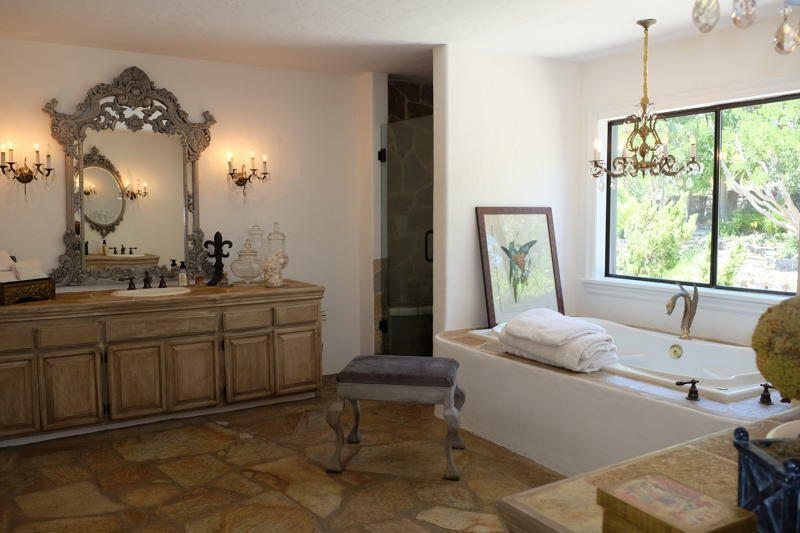 The fourth bedroom can be found on the first floor and has an en-suite bathroom. 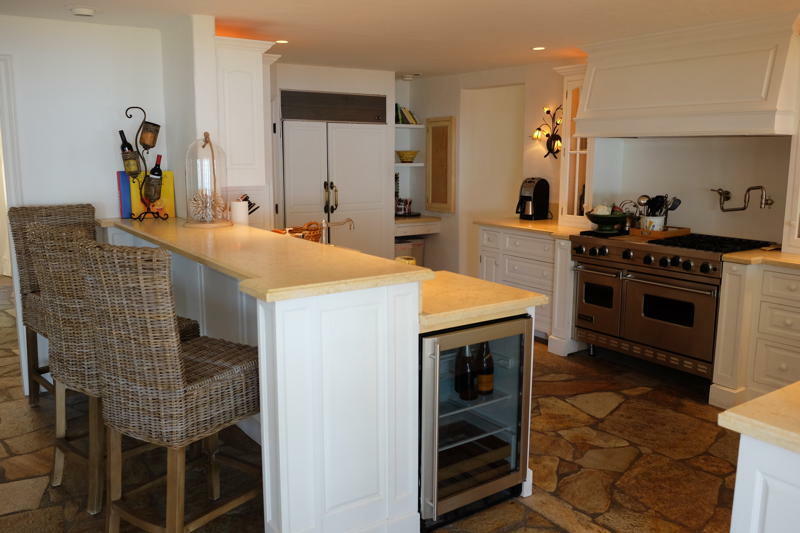 Stone Manor features a top of the line kitchen, with Sub-Zero, Viking, and Miele appliances. 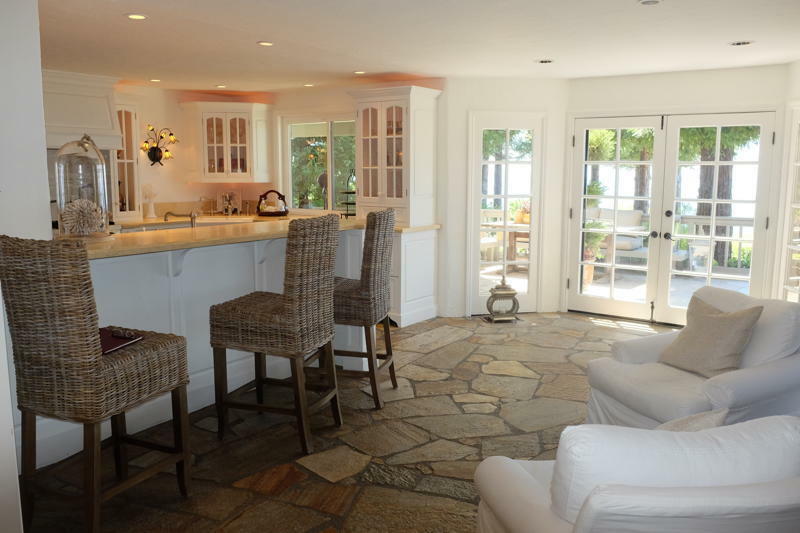 A perfect place for gourmet cooking, while taking in the sublime ocean view. 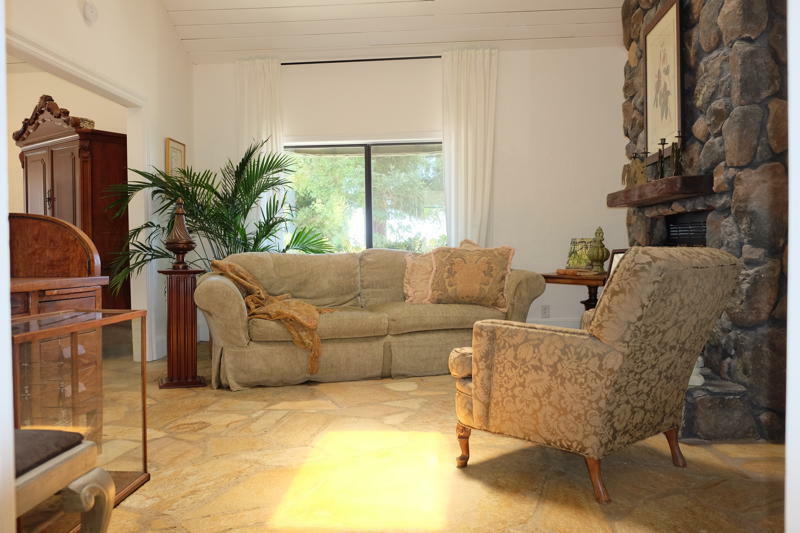 The home is technologically equipped with Wifi throughout, Plasma Screens, iPod docks, and air conditioning. 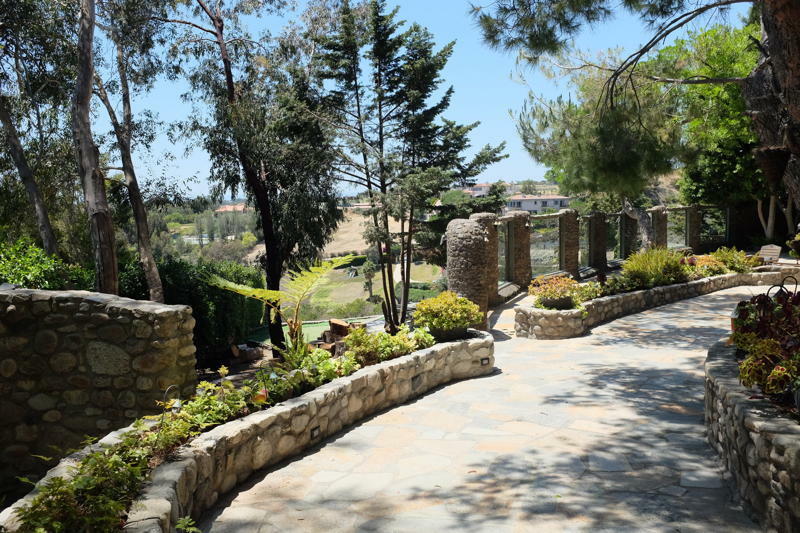 Aside from its many gardens, formal lawns, and citrus grove, Stone Manor has a stone pavilion with exquisite night time lighting, that has been described as a “fairy land”. 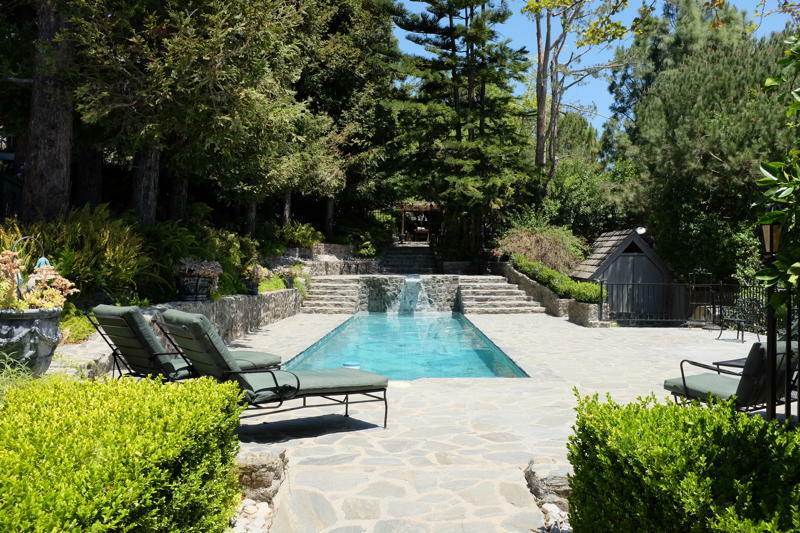 As for leisure, Stone Manor offers putting greens with five holes on its own estate, a heated forty foot lap pool, and a large Jacuzzi that can fit up to ten people. 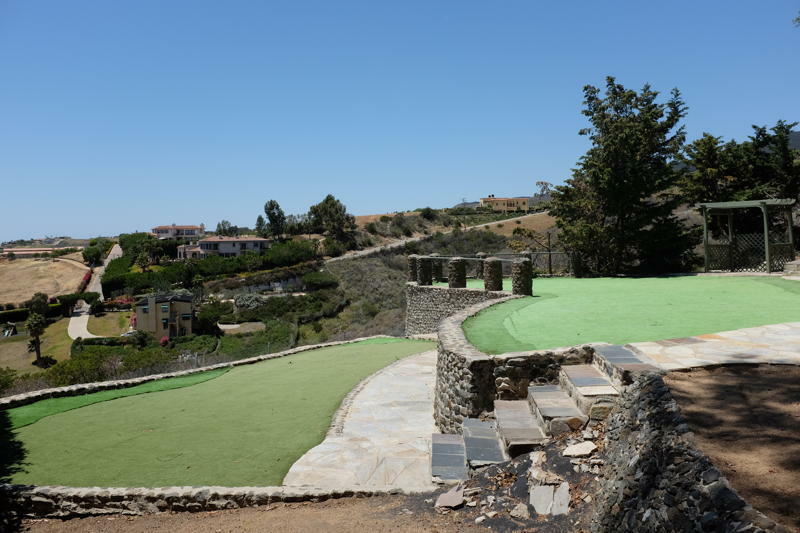 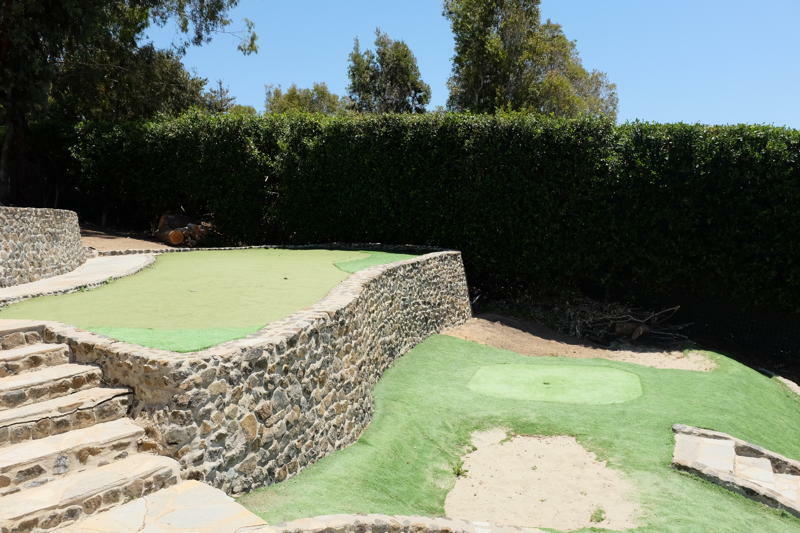 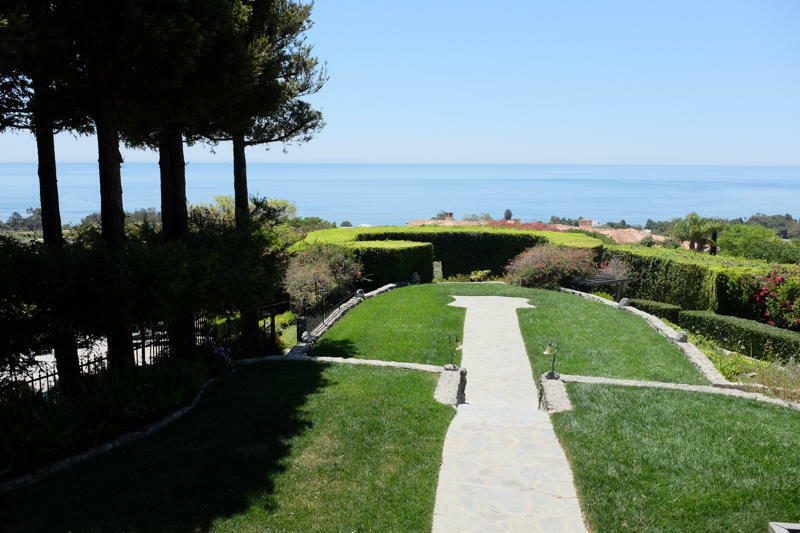 The Malibu Country Club, Racquet Club, and Riding and Tennis Club are all nearby. 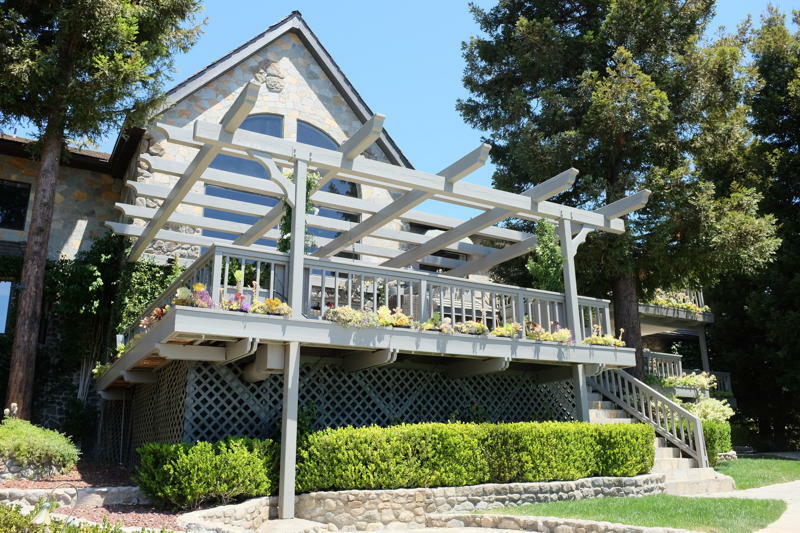 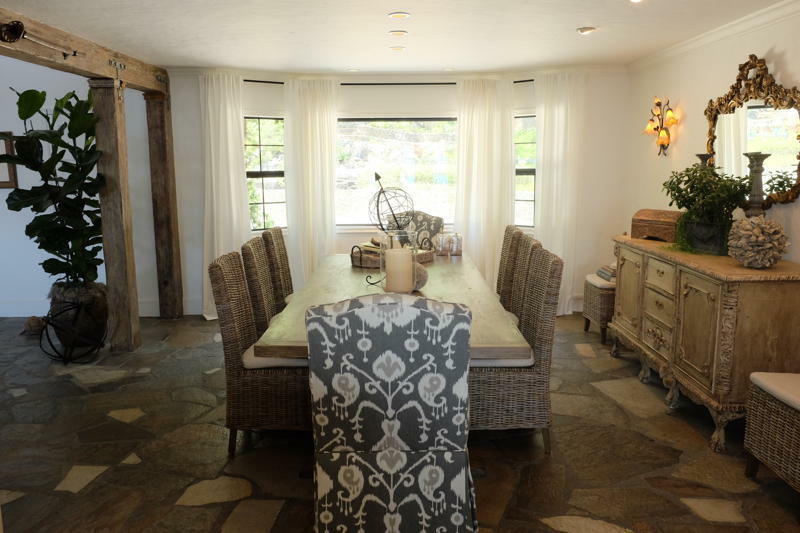 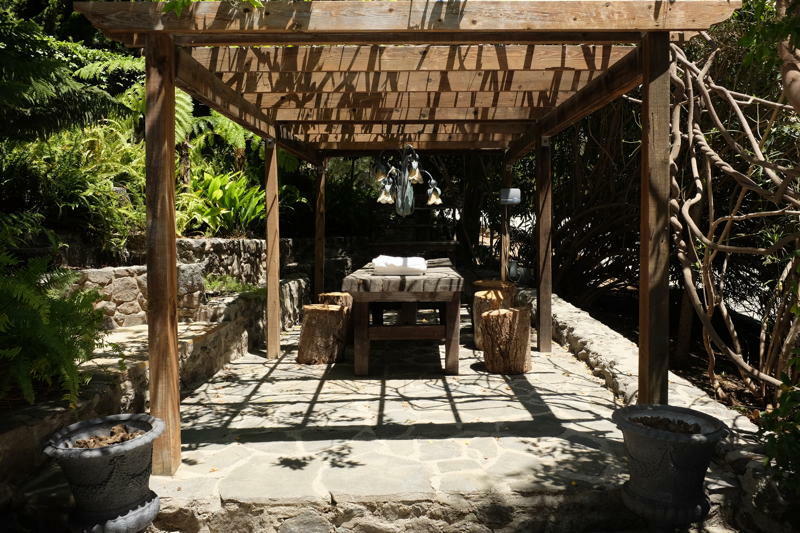 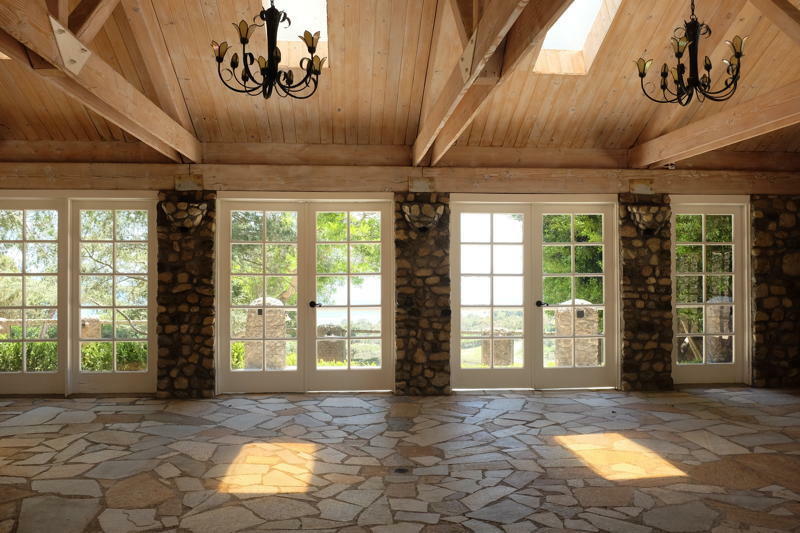 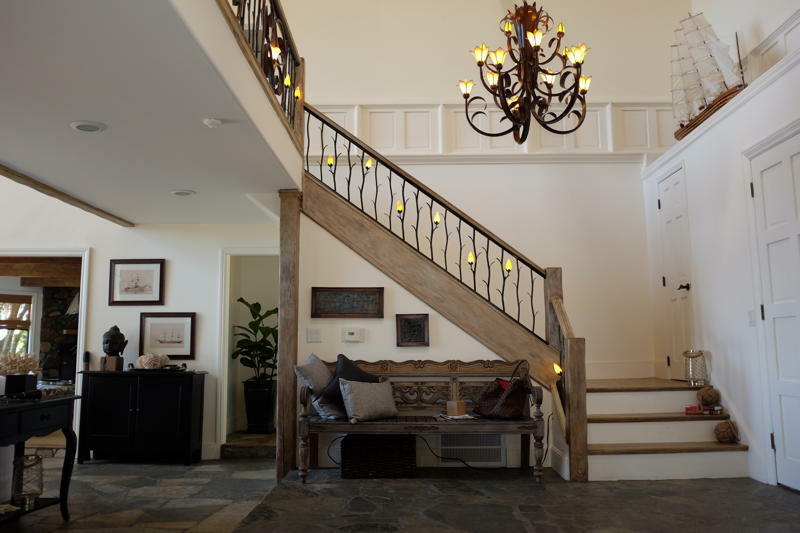 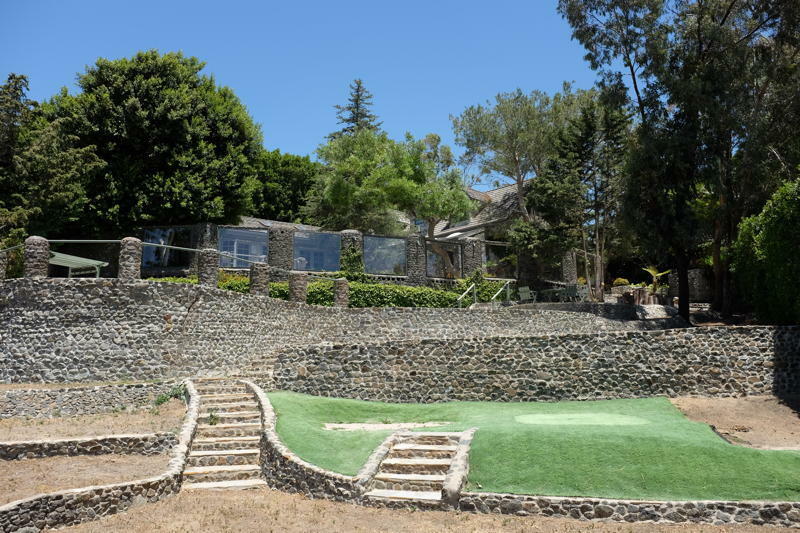 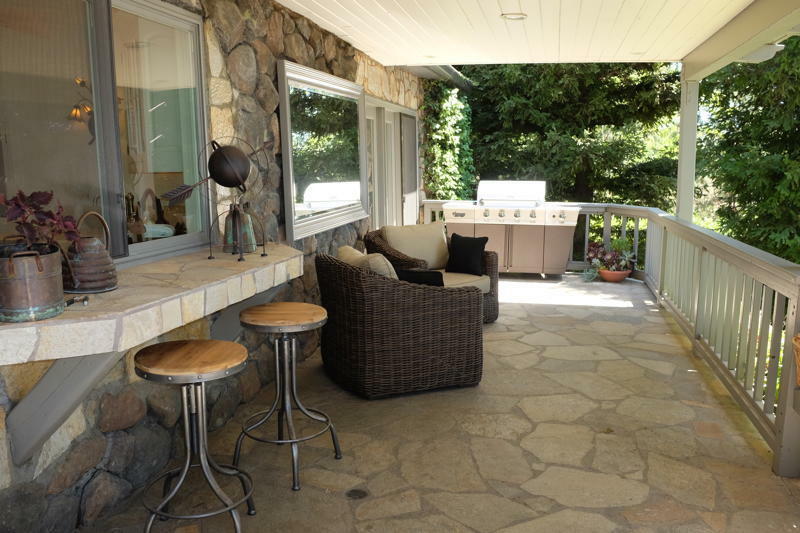 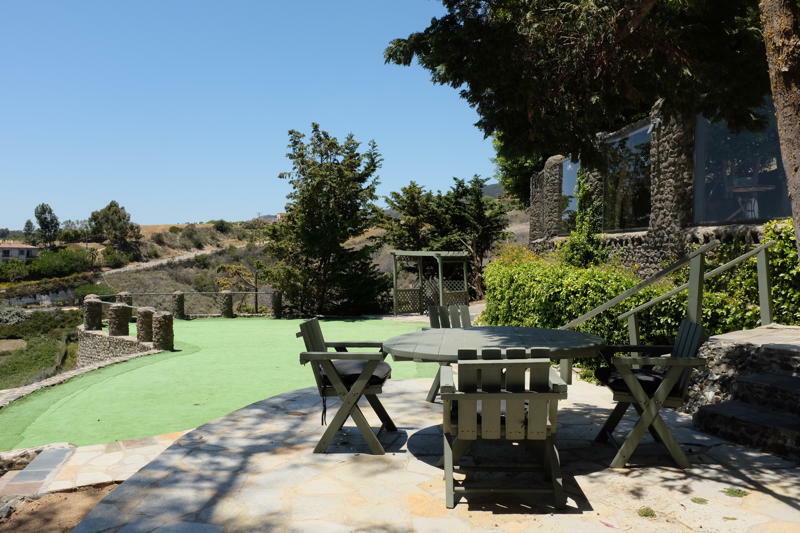 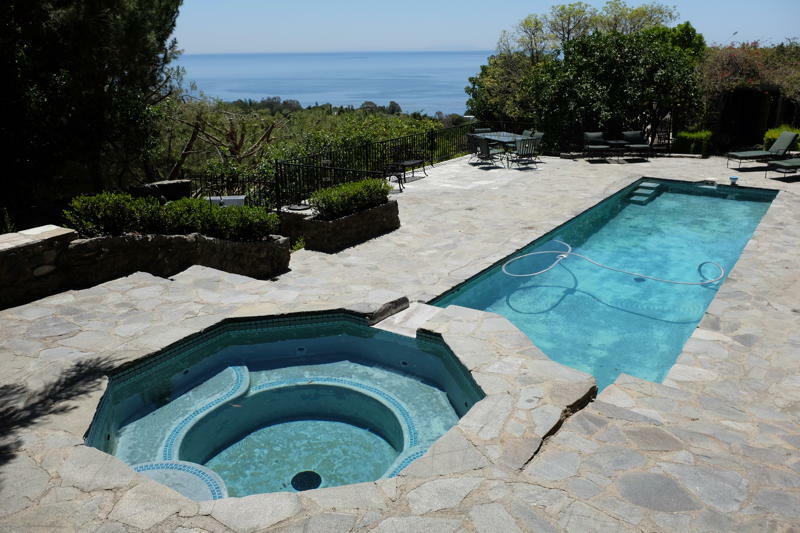 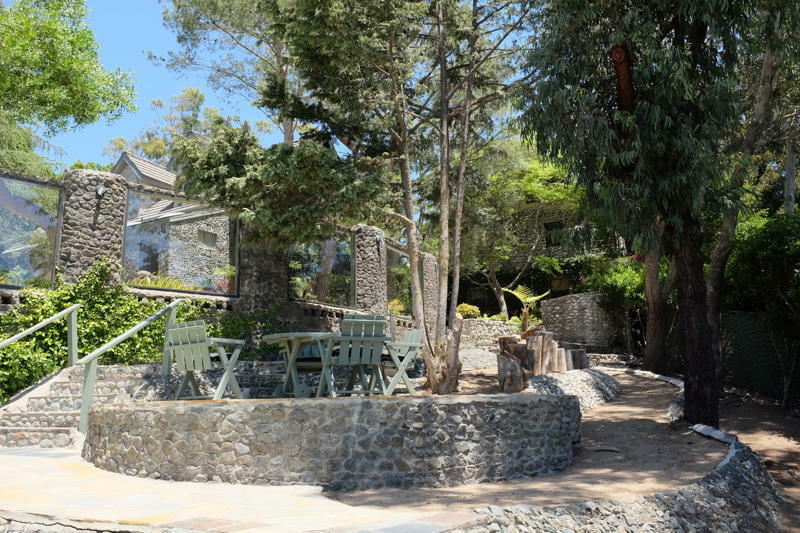 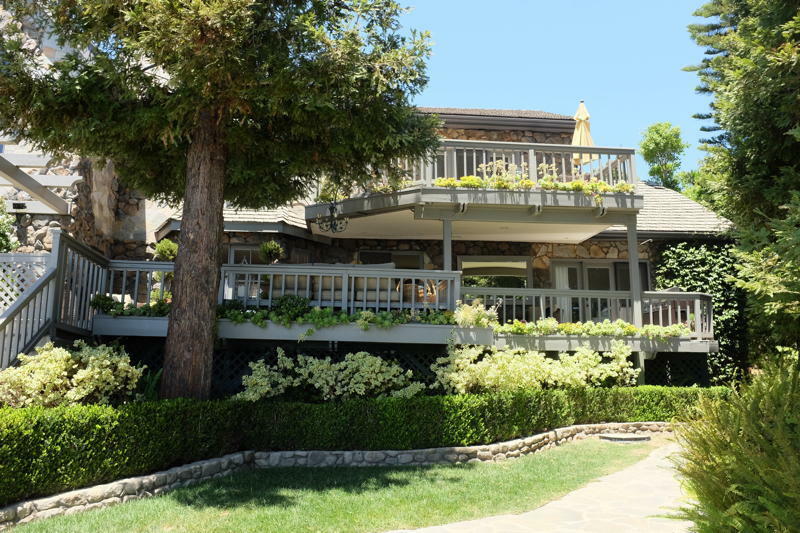 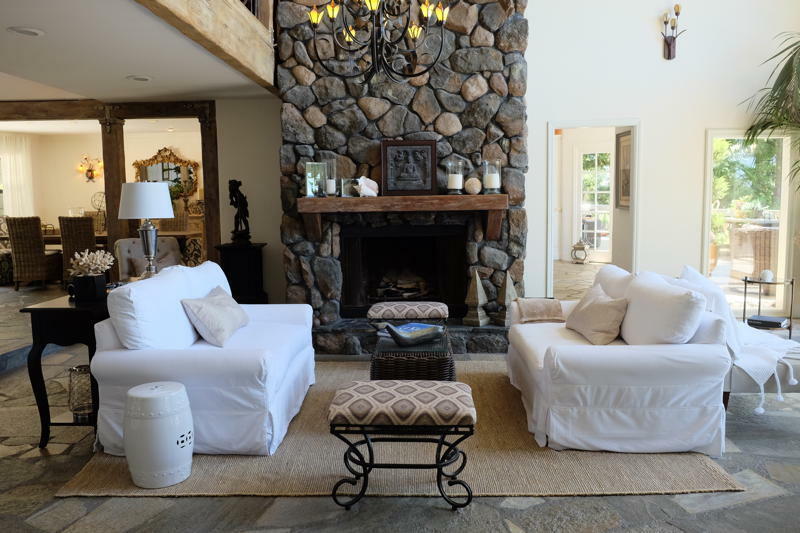 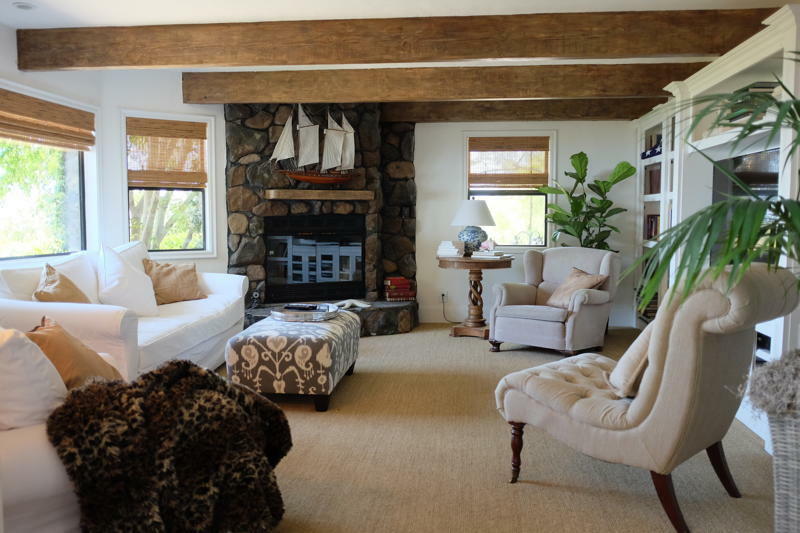 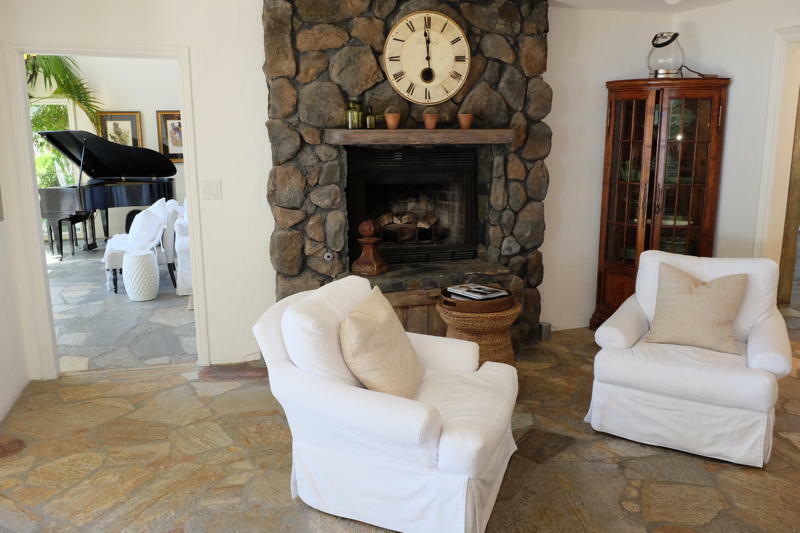 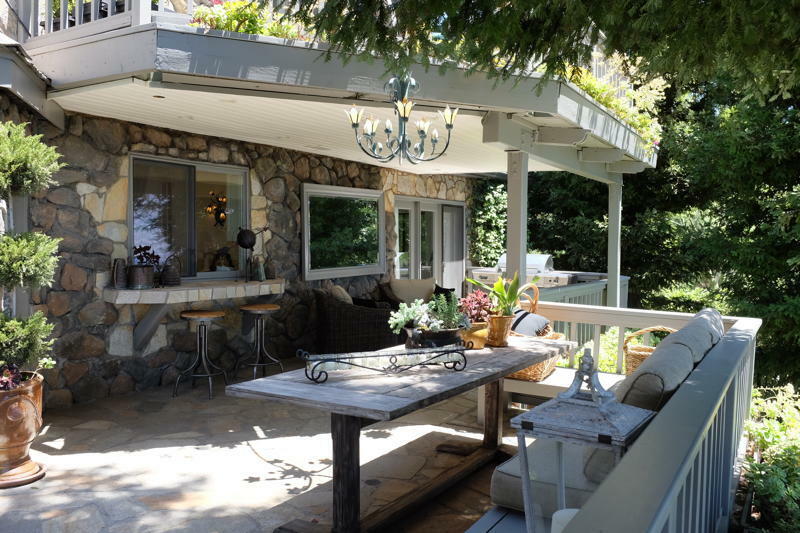 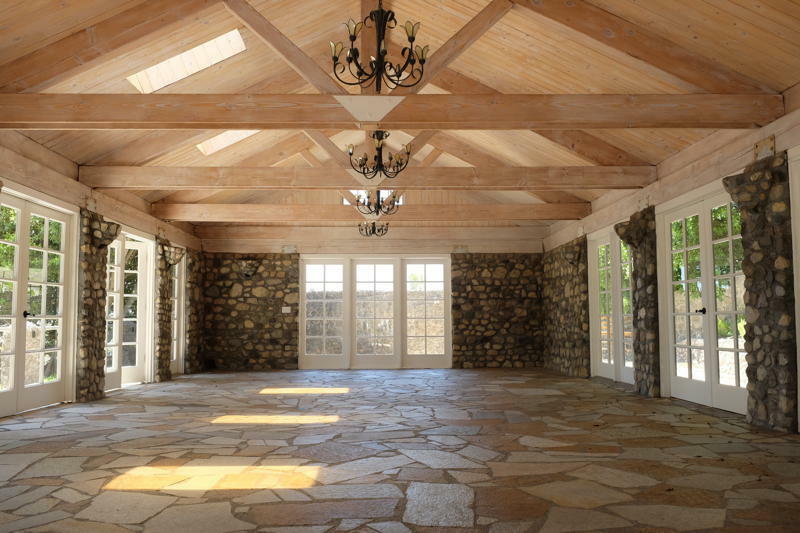 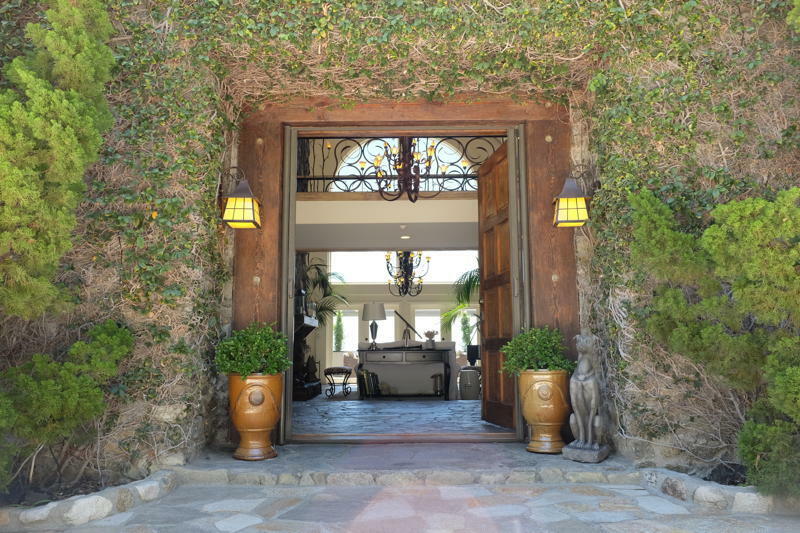 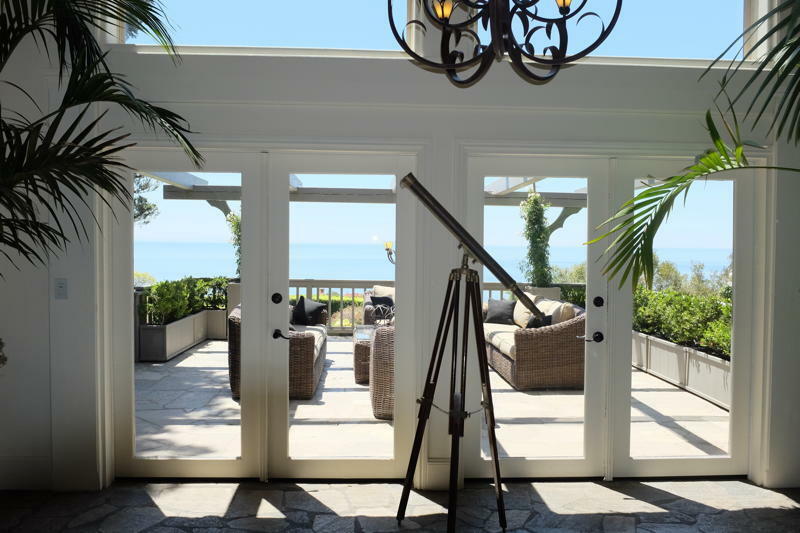 Stone Manor is a wonderful place for a family to vacation, while taking in the breath-taking beauty of Malibu.